Port-of-Spain, Trinidad. 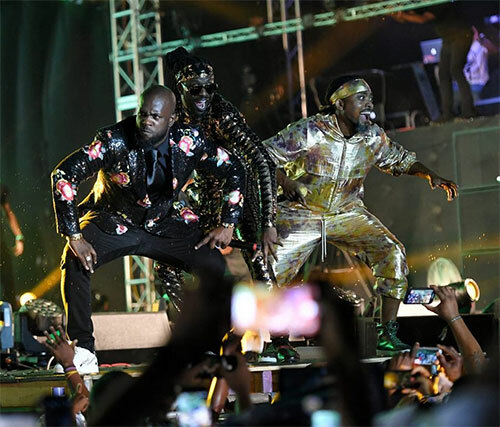 March 1st, 2019 -- Wondering minds can now rest easy with confirmation today that Machel Montano, Bunji Garlin and Skinny Fabulous’ collaborative 2019 hit single, "Famalay" will officially contend for the Road March title. Trinidad and Tobago nationals, Ian Alvarez and Machel Montano, who are both members of the Trinbago Unified Calypsonians Organisation (TUCO), have registered the song. The track, has received immense fan fare, and by all accounts, is the most popular refrain at fetes this Carnival season in Trinidad and Tobago. "Famalay" was released in January and has since amassed over 3 million views on YouTube. An official video was released this week with heavy emphasis placed on artiste camaraderie and the authentic Caribbean energy that’s symbolic of Caribbean feting and the carnival vibe. Making cameos in the video are Barbados’ Alison Hinds, Voice, Preedy, Ravi B, 5 Star Akil, Lyrikal, St. Lucia’s Teddyson John and several other entertainers.